National Education Standards – Are We Creating Global Citizens? With the international boundaries shrinking by the day due to the rapid technological development, the future of humankind is definitely going towards a new era. Education can no longer follow the nineteenth-century rule of producing graduates meant for factories and corporate houses. The core nature must change. We are gradually shifting to a world where cultures are mixing daily, relocation comes with the job and inter-country communication is as common as telephone calls. In view of this, India’s national education standards generally come into question. Can the CBSE schools in Sonepat meet up to the changing demands? Are they successfully creating global citizens? From the outside, it naturally seems that nothing much has changed in the national curriculum. The subjects are the same, the gradation system is no different as well. This superficial picture often misleads parents away from such schools where they are startingto consider international institutes. But, in reality, creating global citizens is actually dependent on the school more than the curriculum. A student can still achieve unimaginable heights in the international domain if his/her pedagogy is right in a CBSE school. Whether the curriculum followed is Indian or that of the US, the core subjects actually remain the same. Mathematics and literature are still important. Indian and world history are taught in both. What global citizenship demands are a specific set of skills that go beyond the academic boundaries that the best school in Sonepat will always provide irrespective of the curriculum it follows. In fact, a national syllabus combined with global strategies will fetch the best results as such an institute can effectively combine the two worlds to form a perfect balance. Learning a foreign language is possible in a CBSE school. Having access to international resources is possible via smart classes. Schools can have workshops or events to provide better exposure to their students and adopt comprehensive strategies to focus parallelly on skill development. The authority’s mindset and intuition are what that will drive your children to become global citizens. Studying in a school with all the facilities available will help them to fit into the future world. A foreign curriculum does not guarantee success. The method of teaching does. The physical atmosphere that a student gets to study in also majorly dictates the skills he/she develops. For instance, robotics is naturally something that will become a crucial part of the upcoming industries, so are its associated technologies. If students get the opportunity to learn about its functioning combined with forming basic knowledge on sensors, IoT, 3D printing and so on, they can obviously find it more comfortable fitting into anywhere in the future. Such teachings can happen beyond the school’s regular curriculum. Both the core subjects and such extras can run simultaneously. Even the libraries and the sports facilities should be of an international standard which helps in imparting both theoretical and practical life skills. Books will continue to remain the major player in building knowledge. What specific books that students are exposed to will determine their development. Libraries should not have any national boundaries. The schools should encourage students to read across a variety of fields. In the sports arena, a good infrastructure will generate interest, and participation will teach skills. Leadership, teamwork, unity, belongingness, communication and discipline are few of the skills that are valued in the global domain and sports can effectively teach all. Logically speaking, everything ultimately does come down to the teachers. If the faculty members have a global mindset, every student under their guidance will be global citizens. 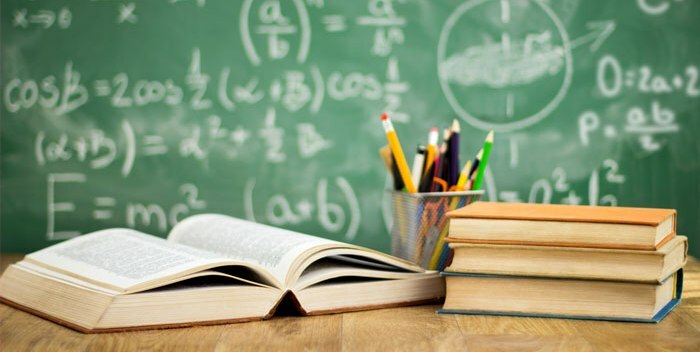 The teaching method must be multi-disciplinary where the teachers must show the connection between each subject of the CBSE curriculum to students. The classes must be interactive, experiments must be encouraged and application in the real world must be related at every possible instant. To reiterate the center fact again, if the pedagogy follows a global standard, the type of curriculum hardly matters. Here again, teachers will be limited by the resources available. But in the best schools in Sonepat like the Swarnprastha Public School, infrastructure and mindset are never an issue. There are provisions for French classes. The school houses the ATAL Tinkering Lab to teach students the modern technologies. The classes are smart and the international exposure is adequate. In such an institute, even when a national curriculum is followed, the teachers can effectively teach students at an international level. All the necessary aspects can be covered. The right approach is not to question the entire national standard when a change is happening but to find that institute that is changing along. Indian education blended with international exposure always create the perfect mix.